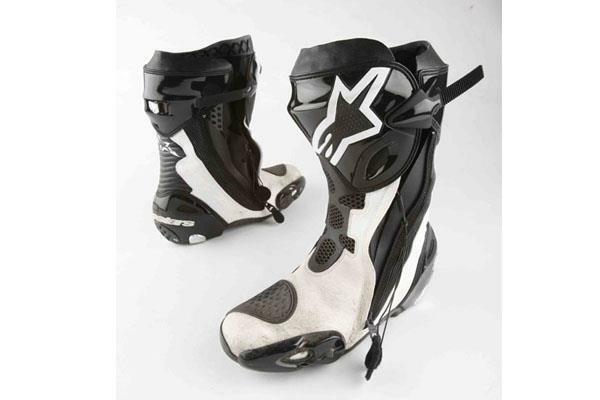 Alpinestars have made several versions of their Supertech R boots over the years and they've been getting tested by MCN since at least 2009. Here's a round-up of what our expert testers said and when. 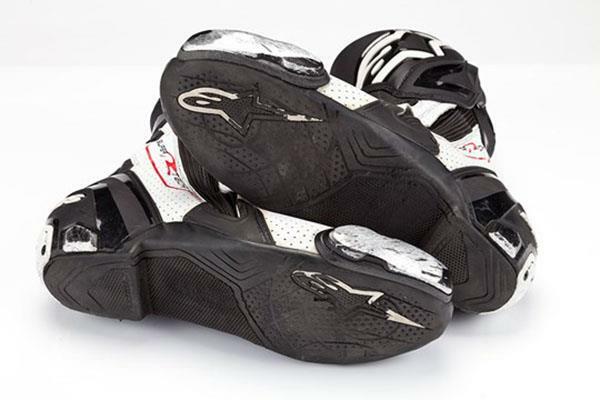 MCN Chief Road Tester, Michael Neeves, says: "Ever since I bought my first pair back in 1988, Alpinestars racing boots have never let me down. "These top-of-the-range Supertech Rs were revamped in 2015 with a new design, plastic shin-plates, soles and screw-in metal toe sliders, which are handed - meaning when you wear one out you have to buy a replacement pair. "I’ve worn them for racing, road testing, commuting, race school instruction and cross-continental touring. They’re tough, durable, easy to get on and all-day comfy. An inner boot offers lateral ankle support and a hard rear plastic section protects your heels. I’ve had my fair share of track crashes over the years and while I’ve managed to break other parts of my body, my feet have always remained unscathed. "The only thing to really show signs of wear out is the sole, where the footpegs dig into your feet, but that’s only with sustained, hard track use over the course of years. They’re not cheap, but boots are where Alpinestars started and they’re worth every penny." 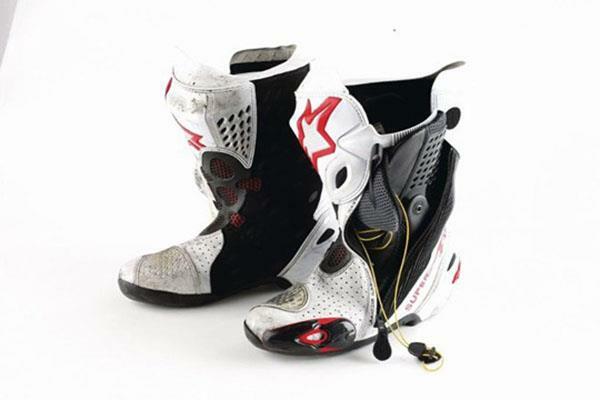 Michael also tested A-Stars boots in 2016 and at the time his thoughts were: "Alpinestars have revamped their popular Supertech R racing boots with a new sole, screw-in metal toe-sliders and a redesigned plastic shin-plate, among other tweaks. The new boots have a familiar Supertech R feel but are sturdier and are as comfy as slippers. "The grippier sole took me a few rides to get used to, but they’re far more tactile for bike control, especially when I’m racing. The toesliders are more durable and with grub screws now holding them in place they’re more secure and easier to change. "The leather is now easier to keep clean, so they stay new-looking for longer. I love the Supertech style, comfort and they’ve protected me in so many track crashes over the years, I wouldn’t wear anything else." MCN Senior Road Tester, Adam Child, tried these in 2014 and said: "The connection and feel is excellent. I put a huge amount of effort through the pegs and the last thing I want is for my foot to slip. At the TT you spend a huge amount of your time stood up on the pegs, levering and turning the bike through the pegs, all at very high speeds. Having feel, security and grip from your boots is so important. "Despite the high level of protection, these boots are malleable rather than stiff. It feels like I’m wearing comfortable race slippers, not racing boots. Throughout the TT race miles this year, I never once questioned or even thought about my boots, they just did the job. "The venting keeps my feet cool and I had no rubbing blisters. They passed the ultimate test, never let me down, just look a bit second hand now. "They are on the higher end price budget, but how much do you value your feet? Despite the punishment at the TT I know after a clean they’ll look like new. "That’s the only hard bit - keeping the bright colours bright, maybe I should have opted for a darker colour. The right boot has a fair amount of oil spread over it, which is going to be a nightmare to clean." 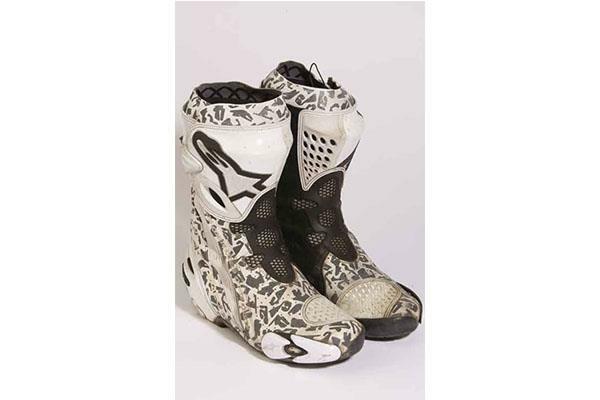 At the time MCN Road Tester, Trevor Franklin, said: "Out of the box, they’re as comfy as 10-year-old boots. This is due mainly to the amount of synthetic material used in their construction that, unlike leather, doesn’t require ‘breaking in’. This comfort-feel also takes in off the bike walking. "The covering panel on the inner side of the boots is covered with a soft, grippy suede-like material to prevent scuffs and scrapes to bike bodywork and aluminium. And they are bloody light to give a lot of feel to the rider, plus they’re easy to get on and off. "The use of Velcro, zip, stretch panel and ratchet system is a simple but effective securing system. "But the best part is they have a high level of ankle protection care of the separate inner boot that not only absorbs knocks but helps reduce ankle twist – as I already carry x-amount of screws and metal plates in one ankle it’s the sort of armour I appreciate. "I’m also chuffed the elasticised boot tops prevent small stones going inside – especially the ones thrown by cretinous friends. "The black/white colour scheme is new for this year and the white marks (spray-on polish keeps on top of it). "The mid-way mesh vents obviously let in water after a while, but they’re not as bad as the track-biased versions with the foot-top perforation vents." 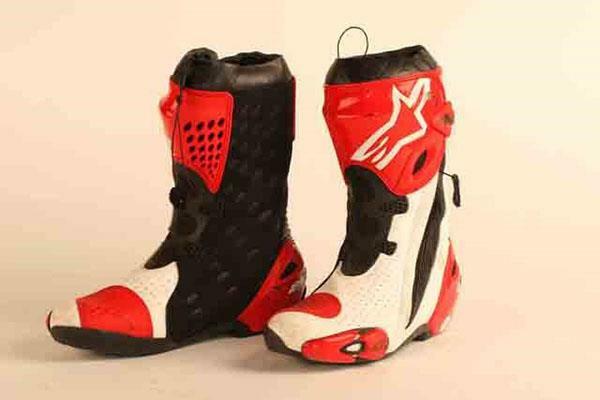 MCN Sports Editor, Michael Guy, tested the A-Stars boots in 2009. Here's what he said at the time: "Used by top racers around the globe these GP Tech boots are some of the best race boots available. In the limited time I’ve had them they’ve already proved their credentials in terms of protection when I crashed at Brands Hatch the second time I wore them. "Featuring an armoured and braced inner boot, they are designed to stop the foot twisting while keeping good forward and backward flexibility. "The drawstring on the inner boot ensures a good fit while the outer boot is well designed and fastened with a zip and adjustable ratchet at the top, making it feel and look like one boot when they are on. "The outer boot is strong with a heavily reinforced heel, and with strategically placed smooth armour designed to avoid the boot catching or digging in during a crash. "These are top-end boots so the price is high. And they’re almost vented too well, which can cause cold feet when the temperature drops." Then MCN Reporter, Rob Hull, said: "The most comfortable boots I’ve ever owned. They offer MotoGP derived protection (Stoner, Hayden and Hopkins all wear them) and even through two pairs of socks generate loads of feel from the pegs through your feet. "Just this week the main zip on the left boot has come away from the stretch panel, but that may be more down to my vigorous zipping technique. I love them so much I’ve bought the same pair again, though."